1. 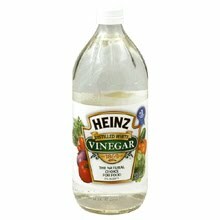 Vinegar as a dishwasher rinse agent. I pulled out my "clean" dishes today only to find my glasses are ROUGH! That ain't right. I usually use Jet Dry, but I'm now out of it so I decided to try using vinegar. We'll see.... I'll tell you right now I'm skeptical, but I'll find out tonight! Before my wedding I went to a professional to get them whitened (gotta match them with your dress) and it felt like tiny knives were stabbing my mouth, AND they told me I had to lay off soy sauce! Are you kidding me?? That's no way to live! I'll report in a week. I'd do before and after pictures but nobody wants to see that. Well, I don't want to see that. 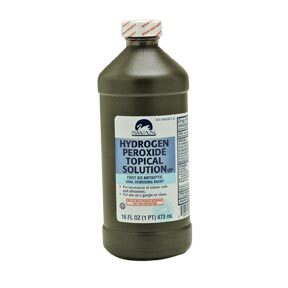 I'd heard about the hydrogen peroxide thing. Let me know how it works! I would think the H2O2 would increase teeth sensitivity. I had mine professionally whitened years ago, and they still hurt. Sigh. Also, I swear by Lemi Shine for hard water spot removal. The dishwasher repairman suggested vinegar, but I didn't think it worked.